Whether it's part of a new home build or a bathroom renovation, switching out the toilet can make quite a difference. Surprisingly, there are actually a lot of options out there when it comes to toilet design and functionality. Let's look at some of the styles available, and what affect they have on functionality. 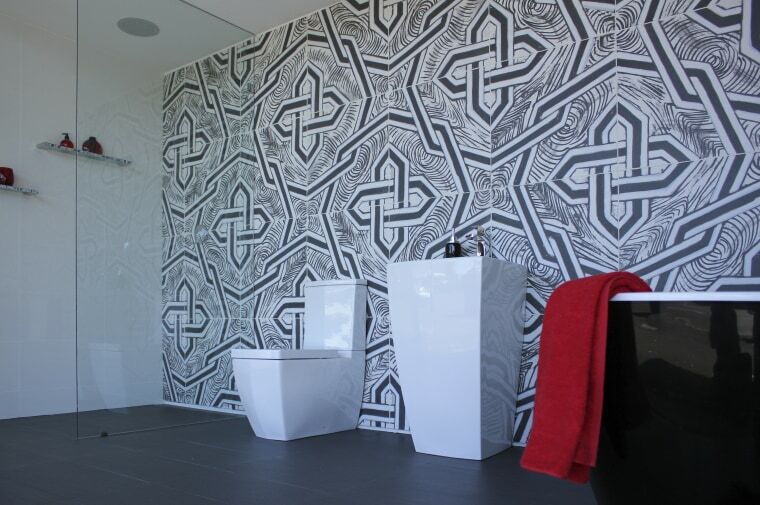 As the name suggests, one-piece toilets incorporate both the tank and body in a single entity. While they can be more expensive than two-piece toilets, they are considered more durable and easier to keep clean. Despite being heavier, their simpler design makes installation relatively straightforward. One downside of one-piece toilets is that since they're one unit, they're usually shorter than two-piece units, so may not be the best option if you're on the taller side. Two-piece toilets have a seperate body and cistern which are connected during installation. This makes it possible to mix and match two separate toilet elements, meaning more design freedom. 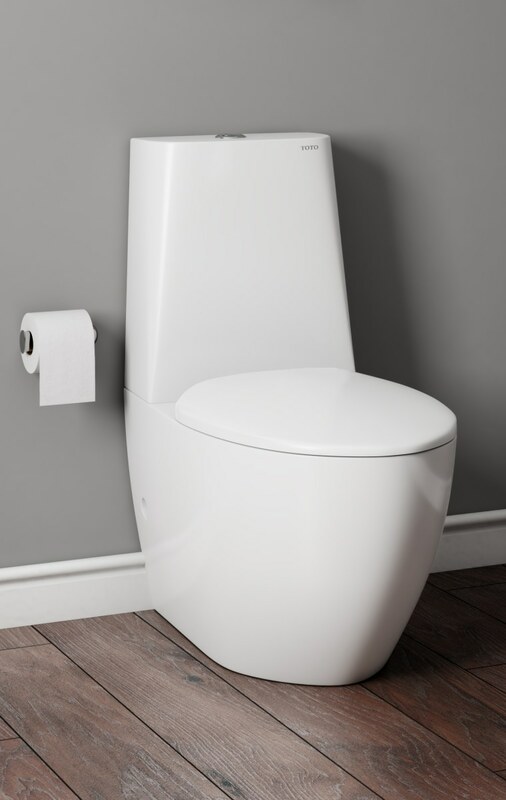 While installation can be a bit more difficult – having to install both the body and tank separately – this arrangement does however make them toilets easier to repair – because it's possible to replace the seperate parts individually rather than the whole thing. This gives the style more longevity. Importantly, wall-hung toilets have become increasingly popular because they use less space, so are ideal for smaller bathrooms. By being mounted onto the wall, the tank can be hidden behind it. They also offer increased versatility as they can be placed along any wall in the bathroom – so long as it's close to a water source. However, wall-hung toilets are generally more expensive than their traditional counterparts, as are repairs. Because the tank is hidden away, you'll need to call on a professional plumber to take care of this. The different toilet bowl shapes. A toilet's bowl shape relates to its dimensions and can affect its comfort level. 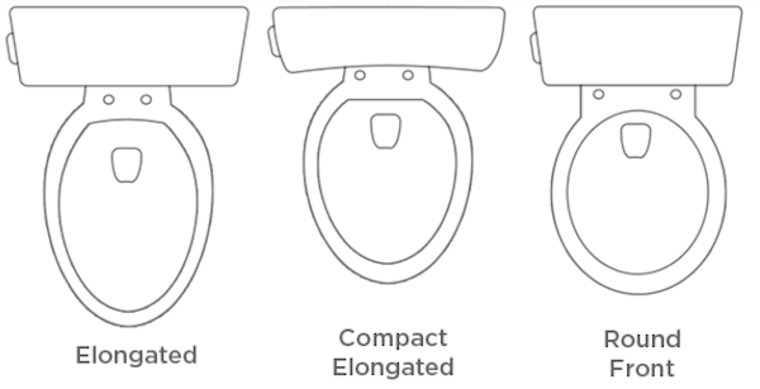 The most common toilet bowl shapes are elongated, compact elongated and round front. Elongated: The oval-shaped elongated bowl is slightly longer than a round bowl, making it feel spacious and comfortable. Round front: The smaller, circular option is more space efficient though less comfortable than the elongated version. This would be a good option for a wall-hung toilet because of it's space saving capabilities. Compact elongated: This option is a happy medium of the last two, being more space efficient than elongated bowls yet more roomy than the round-front option. Make sure to try before you buy! This toilet has a universal trap type (meaning both S and P traps can be used). Generally floor-mounted toilets are available in P and S Traps while wall-hung toilets are available in a P-Trap. 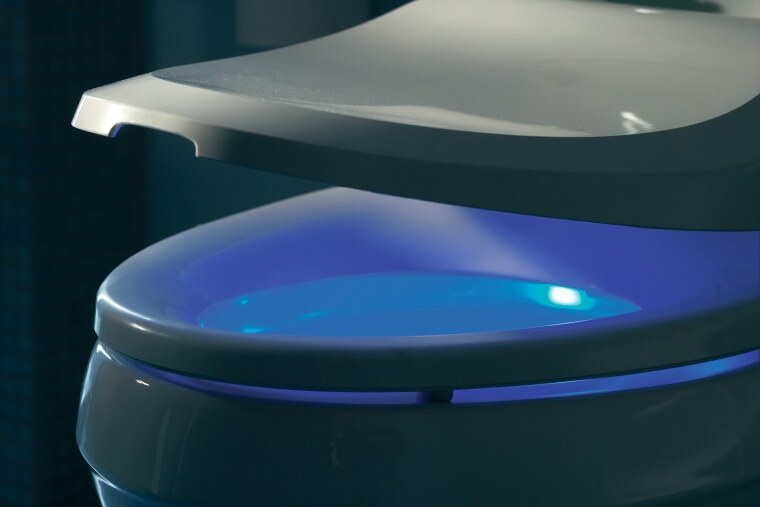 This smart toilet includes a soft blue night light. Most toilets now come with dual flush, giving you the option of a full or half flush. Using this system can save over 50 litres of water per person daily compared with traditional single-flush toilets. Another consideration for water efficiency is the Water Efficiency Labelling and Standards (WELS) certification. The higher the star rating a toilet has, the less water it will use. Today, almost every part of your home can incorporate smart technology, and toilets are no different. They offer so many different features, from remote controlled lids and seat temperature control to deodorising and auto washing capabilities. Some even sing to you! The possibilities are endless, so you really can be the king or queen of your own throne. Here's one for the germophobes. Rimless toilets eliminate the traditional rim where mould, germs and other bacteria can grow, making them more hygienic. Certain models are designed to ensure the highest percentage of the bowl is cleansed during the flush action by accurate delivery of the water throughout the entire bowl. This is basically an essential for anyone with kids, soft close seats make it impossible to slam the seat.